I've been blogging like for 8 years about personal experiences but not about my profession. It's already time i think. In this blog, I'm planing to post my notes about ELT seminars, conferences and trainees that i had alongside with the findings from web to improve my teaching skills and and i hope those will help others as well. 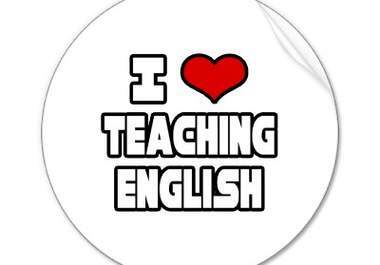 I've been teaching for 5 years now and I know It's not an enough experience to be a good blogger about elt but still you have to start somewhere and see how you are doing in this process. I really hope that this blog will help others and myself during this journey of teaching and improve my skills with your comments as well. Thanks for this post. You may also explore this paper writing service. Since technology has become part and parcel of our everyday lives, we have accepted its company as though the air we breathe. Similarly in the teaching environment, younger aged students quickly grasp the technical side of technology. They may not actually understand why click to read more is useful but rather it's a means by which we live. If there is any word that defines the fast paced world we live in today, its "section 508". With the passage of time, technology has become an immensely powerful and rapidly growing arena. As such it is important to grow along with it, to be updated with the latest trends.